My inaugural trip	How water arrives in most homes…. in Kibaale? For those of you who have never seen a passion fruit ….. it does not look impressive but it carries a wonderful refreshing punch ….. I am now totally addicted to this small brown fruit. Yesterday, I was in Masaka doing some shopping when I came upon a young man selling these amazing fruits. He wanted 1,000 shillings or less than 40 cents for 7 of them…. I bought 14 of them and within a hour of arriving back at the Timothy Centre they were gone….. 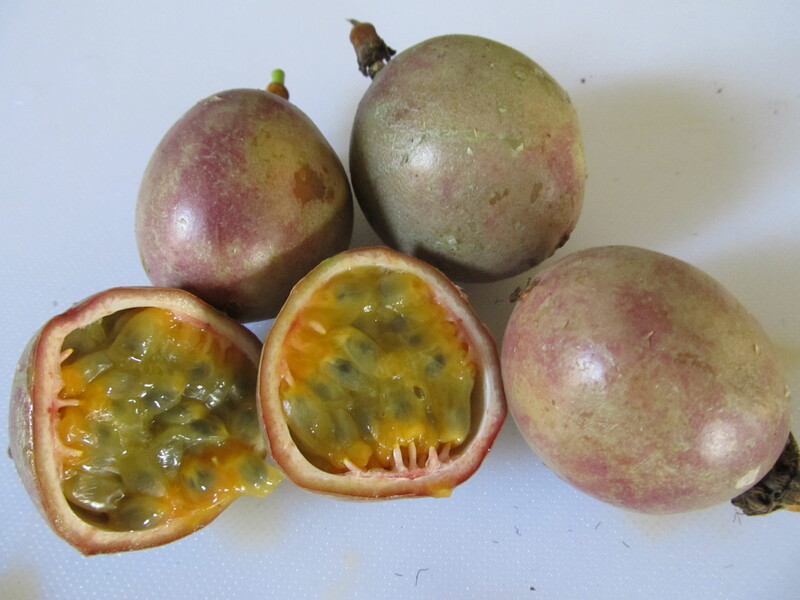 It only takes two mouthfuls to eat one half of a passion fruit. The small black seeds are power drops of taste. There is nothing in Canada or in the United States that compares with this taste…… and now they are in season. Many of the clinic staff do not like them….. some have never tasted the fruit…… my only explanation is the fact it is a small uninteresting fruit with a very strange appearance…… if you can get past its appearance you have a new amazing world of the passion fruit. One day….. take one home and try it…. you may like it. We love passion fruit. Got addicted to them in Peru. They are really good for you too. High in Vit C and magnesium among other things. Thanks….. was not aware of them being high in magnesium….